J.T. O’Donnell, CAREEREALISM CEO and Founder, is a career strategist who helps connect the top talent to great companies. J.T. helps companies understand Employment Branding and learn to showcase their culture and purpose. 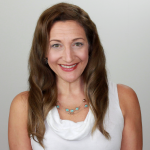 She has been a career and workplace consultant and speaker for 18+ years, and her work has been cited in Wall Street Journal, USA Today, New York Times, The Boston Globe, CNN.com, BusinessWeek.com, Mashable.com, and more. We can design a speaking format that suits your needs! Book Your Speaking Engagement Now! Do you want J.T. O'Donnell to speak at your next event? Click the button below to book your speaking engagement or training/consulting session. Want to know more about Employment Branding?